Spectus Window Systems has spotted the potential in new start-up company ADM Windows, signing a sole supply agreement with the Sheffield-based business for its flagship Elite 70 system. ADM Windows was launched earlier this year…read more. 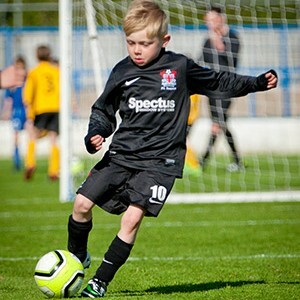 Sponsored by Spectus Window Systems, Hazel Grove United is basking in post-season glory, securing promotion to the Premier Division of the East Manchester League and reaching the Cup Final. The Greater Manchester-based club comprises two…read more. 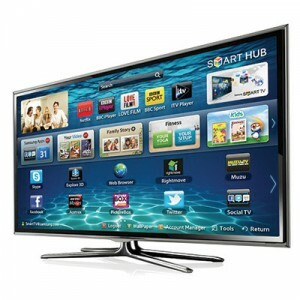 Win a Wide-Screen 3D TV! Spectus Launches Triple Glazing Competition Have you recently completed a triple glazing that’s worth shouting about? Then Spectus Window Systems wants to hear about it. In support of the Triple Glazing Question the company has…read more. Leading profile manufacturer, Spectus Windows Systems, has launched two new stone cill adaptors for their Elite 70 PVC-U window and door systems into the Irish market. Product manager at Spectus, Chris Ross said: “The new stone cill adaptors for Elite 70 were originally designed to meet the needs of their customer Frames Direct, however the…read more. Spectus Window Systems, leading PVC-U systems house and part of the Epwin Group, has teamed up with top building sector magazine Building Products to uncover common myths that exist with specifiers about the use of PVC-U as a building material for doors and windows. A questionnaire launched by Spectus was sent to 21,000 architects, specifiers,…read more. CALM DOWN, DEAR! Dear editor, It was with much surprise that I read news in industry publications this week of certain companies expressing their pride at becoming among the first to register on the BFRC’s Door Energy Ratings (DER) scheme. This has rattled many industry players, but any ruffled feathers are not borne out of…read more. PVC-U profile producer, Spectus Window Systems, has signed five new fabricators, reinforcing its UK-wide reach as part of its fabricator acquisition strategy. Pure Frames, Fairfield Windows, IF Double Glazing and Bettaglaze are all taking Spectus’ flagship Elite 70 profile, while MacLeod Construction will be producing windows using Spectus’ industry-leading vertical slider profile. Speaking about his…read more. New Forest District Council Town Hall, in the Georgian market town of Lymington, is the latest building in the country to be refurbished using Spectus Window Systems’ Elite 70 profile. Spectus fabricator and installer, South Western Windows, completed the renovation project using the company’s flagship PVC-U profile in a job which took just four-and-a-half weeks….read more. 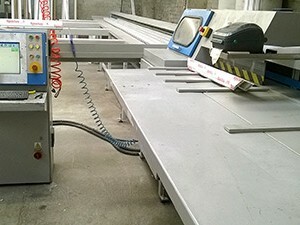 Fabricators up and down the country are placing an increasing number of orders for foiled profiles. With an eight fold rise in sales for the Spectrum range – which includes in excess of 50 different colours of foils – supplied by Spectus Window Systems this year alone, Spectus Product Manager Chris Ross believes foiling is…read more. Spectus Windows has further strengthened its board of directors, with the appointment of David Oliver as sales and marketing director. David’s background is in communications, and following senior positions at companies including O2 and Carphone Warehouse, he brings almost two decades of b2b experience to Spectus. He has also operated in diverse industry sectors with…read more. Spectus Windows, the Macclesfield-based producer of PVC-u extrusion products for the manufacture of high quality window and door systems, has announced a new board of directors at an exciting time in the company’s development. When Spectus joined My House Group in February 2009, changes were made within in the existing Spectus team and an interim…read more.